In my previous post, “3 Reasons Why Knowledge Worker Engagement Is Decreasing”, I discussed the increasing pressure on organizations, the changing nature of work, and different reasons why employee engagement and thereby also productivity and innovation are eroding, especially in large and distributed organizations. I grouped these into three overall themes: complexity, inflexibility, and disconnectedness. Now what can an organization do to reverse this negative trend? It could strive for the opposite, of course, towards increased simplicity, flexibility and connectedness. Here are 9 things your organization can do to get moving in the right direction. Study after study shows that people-centric organizations are more productive and profitable, and that being people-centric is a mindset that is instrumental to building a high-performing organization. This applies to all aspects of an organization, not the least information technology. Instead of leaving the people out of the equation, information technology must be designed in a way that it extends people’s abilities and senses, allowing them to make the most out of their collective expertise, talent and engagement. We are seeing this happen on the commercial web, but it is yet to be seen at work. The solution should be obvious: you need to adopt the thinking, approaches and methods that are used when designing customer experiences and use it when designing the internal work environment. In a knowledge-intense work environment where the work people do is highly inter-dependent, you need to reduce the complexity in the interactions between people. It requires you to study these interactions in detail - why they are needed, when, who interact, what they lead to - so that you can identify typical interactions and then simplify those interactions. Key in this is to understand the people, their tasks and the situations they find themselves in. 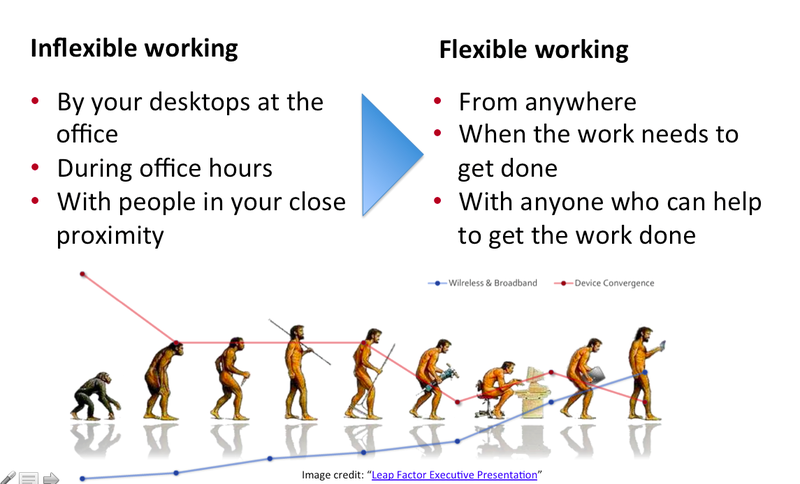 Ultimately our digital work environment should be invisible, helping us achieve our goals without any friction at all. Most knowledge workers still struggle with basic tasks on a daily basis, many of which are not creating value. Therefore, you need to make it much easier to perform those tasks. 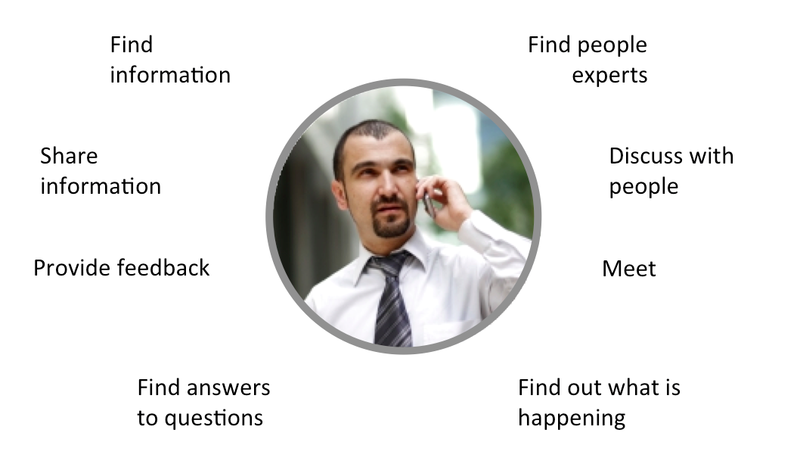 Although the tasks of knowledge workers come in all shapes and sizes, many of them rely on a number of basic capabilities, such as finding information or locating expertise. By improving these capabilities, your organization can empower its employees to perform their tasks more efficiently and effectively. By removing waste and friction on task and capability level, you will also be able to see substantial improvement when all these small improvements are aggregated on process, departmental, and enterprise levels. Research shows that what employees of all age groups want is the flexibility to determine for themselves where, when, and how they work, and that increasing workplace flexibility has a positive effect on employee engagement and thereby also on employee productivity. Your organizations need to support this, not only to increase efficiency by reducing lead times by enabling people to do their work when it needs to get done, but also to make people more engaged at work and thus more productive. New mobile technologies enable you to get your work done anywhere, at any time, with anyone. The tools and information you need to get work done can now be made available to you anywhere and anytime. Yet your organization's culture, management practices, performance systems, organizational structures and priorities are keeping you from exploiting this opportunity to the fullest. Therefore you identify necessary changes and implement those so that mobile working is truly supported. Your digital work environment should follow us wherever you go, helping you to get your work done, in different situations. This means that you will need digital services that are designed to fit typical situations. These services should all be tied together in a coherent user experience, providing access to all information you might need, allowing you to work seamlessly together with your colleagues from anywhere. 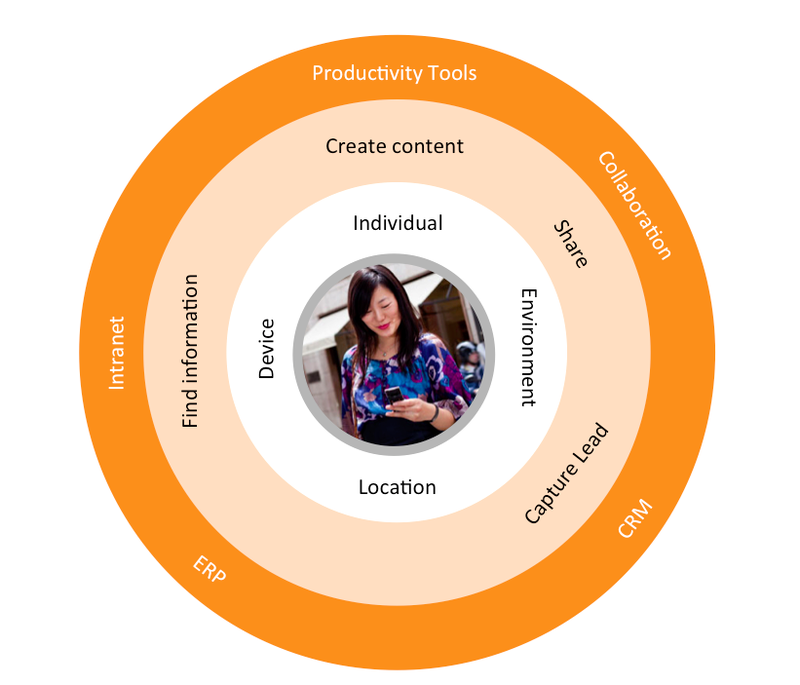 You will need to establish a shared vision, strategy and governance model for the entire digital workplace. Achieving operational excellence today and tomorrow starts with having the right people on board and then connecting them to each other. With better connections, your organization can solve problems and act upon opportunities in a fraction of the usual time. And it can achieve it fewer resources and by activating underutilized resources such as expertise hidden in distant corners of the enterprise. 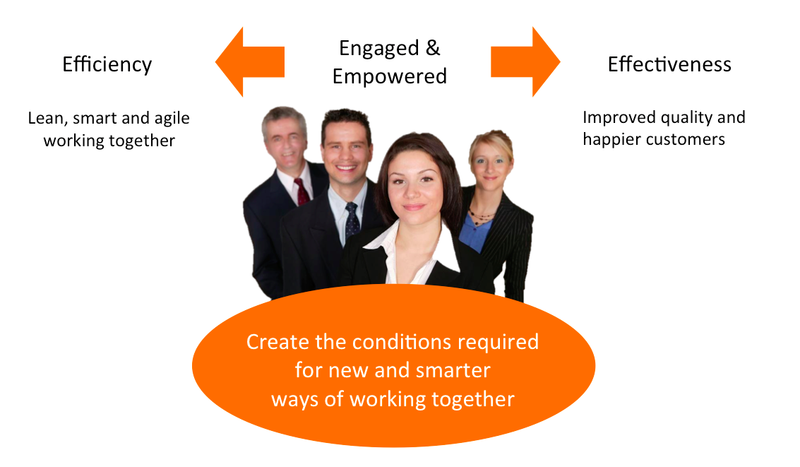 When people become more connected, they will feel more engaged. They will be able to build their personal networks and access the social capital they need to get their work done. So, you will need to provide systems in place that allow people to connect and use those connections. Openness. People need openness to get access to information and other resources they might need to get their work done. Transparency. People need transparency to be able to find and discover the information and resources, and to trust it. Participation. Anyone needs to be able to participate, because that’s how we can deal with any kind of problem or opportunity. Conversation. If people can have conversations it will increase the likelihood that their communication is effective, allowing them to quickly can reach mutual understanding and take the necessary actions. Recognition. People need to be recognized for their contributions if they are to remain motivated and continue contributing. To avoid sub-optimization and other negative effects of organizational silos, you will need to create a more open and transparent work environment, one where you can see and interact with your colleagues within and across organizations. You need to increase visibility of people, information and other resources. You will also need to create mechanisms that allow people to find and discover relevant people and information, without drowning in a rising sea of information. 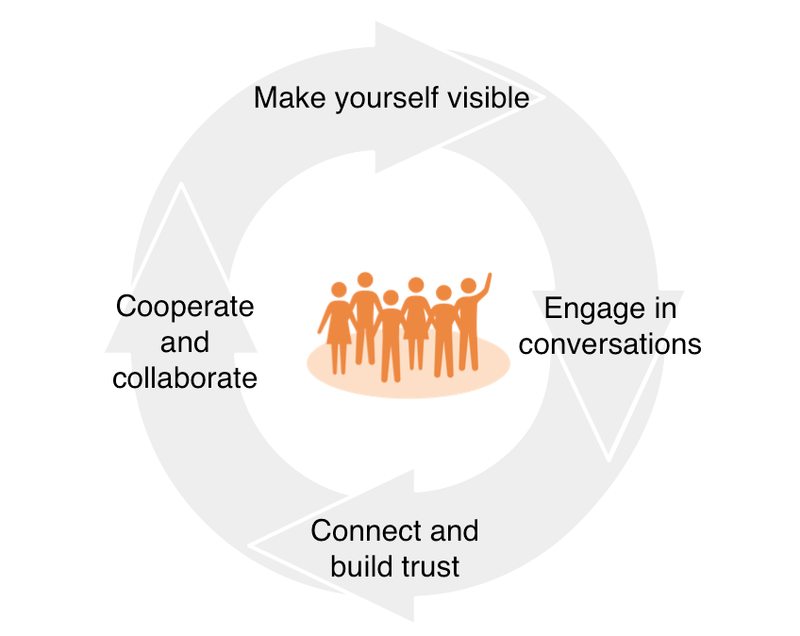 Once you have created a more open and transparent environment, people can start making themselves visible, participate and engage in constructive conversations. Doing so, they will discover new people with similar interests, experiences and goals. They will connect, get to know and build trust in each other. When they do, when they feel connected and feel part of a community, cooperation and collaboration happens naturally. Not because someone tells them to, but because they want to. At the end of the day, it is about creating the necessary conditions for employees to become engaged and empowered to do their jobs as good as possible. Remove all friction. Love synergy, hate waste.